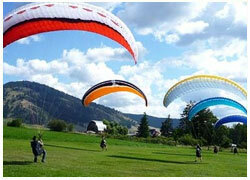 How to Plan the Best Paragliding Tour to Bir Billing ? We offer tailored Bir Billing packages to suit our guests’ requirements and make them feel completely home amidst the nature and relaxing mountain views. Our packages include services like camping in the places especially designed keeping family needs in mind with attached toilets and bath to the tents. Food and other basic amenities are arranged for all and special needs like laundry etc. can be accommodated on request. We always make sure to give our guests memories they will never forget. Our team coordinates at every point and ensures smooth procedures right from the bookings to the end of the journey. We also guide our guests to see the best places and things to do in Bir. We make sure to walk the extra mile to satisfy our customers and turn their experience at Bir Billing into a lifetime experience. We can customise it according to your Need. Explore the most beautiful places full of adventure like Bir Billing and witness the special recreational adventures like paragliding, trekking and camping. 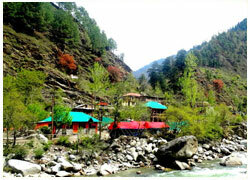 The place presents a picturesque view of the Dhauladhar range of Himalayan resplendence and the adventure activities top it up for travelers pouring in from different parts of the world. Things to do in Bir include a range of relaxing activities to thrilling adventures in the form of paragliding and trekking. 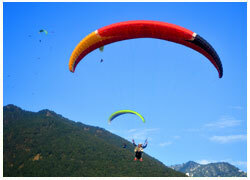 The place is world famous as a paradise for paragliding enthusiasts. Bir is known all over the world as a best playground for paragliders and is a paradise for tourist who wish to take a safe tendem paradliging sport. Bir is also well known for its Buddhist monasteries and tibetian settlement, not forgetting the Tibetan culture and handicrafts. One of the best aero sport sites in the world. Billing is 14 Kms away from Bir. With the mountain ranges serving as an amphitheatre. Bir-Billing offer great opportunities for high altitude and cross-country flying for a stretch that extends to 200 Kilometers. Surrounded by tea gardens and an amphitheater of low hills, is an ideal landing around for para-gliders. Bir has Buddhist Monasteries that are worth visiting. Fine Tibetan handi craft are also produced here. Palampur is 29 km and Baijnath is 13 km from Bir. 14 km from Bir, which came in the news in 1984 when an international Hang Gliding rally was organized at Billing, a place 20 km from Palampur where some expert hang gliders of the world participated. They rated this place as one of best in the world. In the month of May / June a tented colony is set up by H.P. Tourism to facilitate Hang gliders. At this time all the roads lead to Billing. All along the bottom of the ridges runs a parallel road from Mandi to Dharamshala and beyond which assures easy recovery for pilots after landing. The most important feature of this region is its weather. On bad weather days one can still fly 20-30 kms and on good days 100 kms is not difficult. October & November are the ideal months for flying in autumn and March to May i.e spring is also flyable but conditions are very strong in spring with thermals of 6-12 mtrs/sec and cloudbase of 4000 to 6000 mtrs. 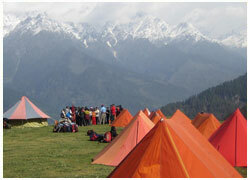 Palampur is 29 km and Baijnath is 13 km from Bir.